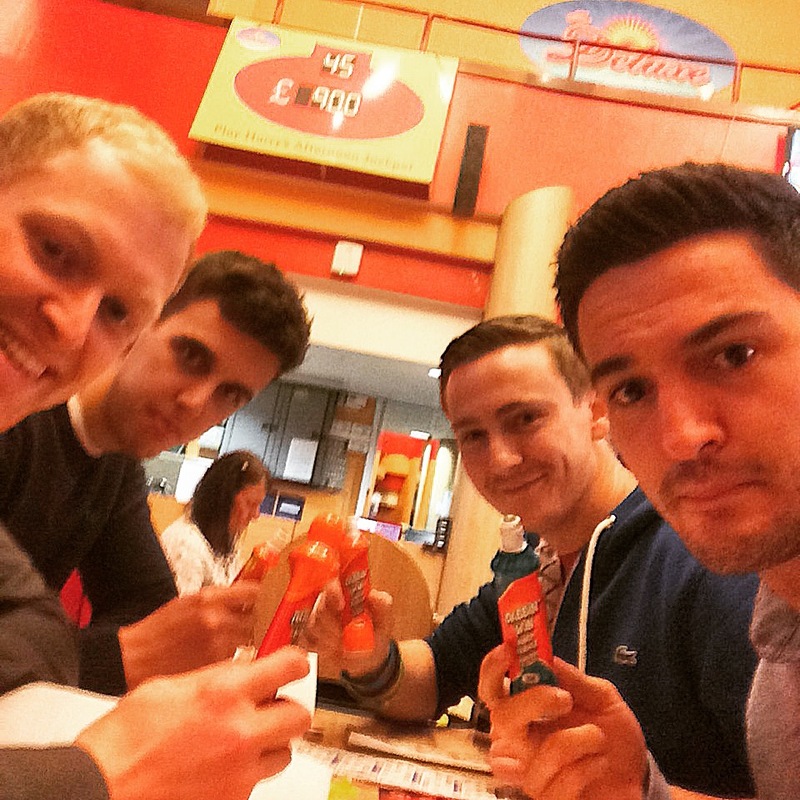 Week 8 of my comfort zone challenge, saw me visit my local bingo hall. I don’t like to have preconceptions of things, but in my head I pictured bingo being a relaxed, jovial evening out with plenty of the ‘older generation’. It didn’t really appeal to me, how fun can circling numbers be? In doing my research before the event, I was absolutely amazed to find out this bingo hall was open 11am-11pm, EVERYDAY! I mean, surely there isn’t the demand for bingo, all day, everyday?! In tack with three of my good friends, we took on, what I assumed to be prime time, the Saturday evening session. Before they would let us loose in the bingo hall, we needed to sign up and become a member. They then asked if we wanted to play on a screen or in a book. Being the traditionalist that I am, and against the advice of the Deluxe Bingo staff, I went for the books with the dabber. It’s not bingo if you’re just touching an Ipad right? We got a very quick run through on how to play bingo by both the reception staff and the number announcer. For those that have never been, you are given a ticket with 6 boxes, that have the numbers 1-90 randomly positioned within the boxes. The announcer will then proceed to announce randomly generated numbers with the aim being to fill either one horizontal line, followed by two horizontal lines and then one full box, a full house. We went to the main hall, and to my shock the place was packed. Finding a table for four of us was difficult, and when we finally did find a table, we must of clearly look liked first timers. Instantly as we sat down, the women to the right of me (pictured below), who became my friend over the course of the night, asked “Is it your first time?… Just give me a shout if you need any help”. How hard can it be just highlighting numbers? 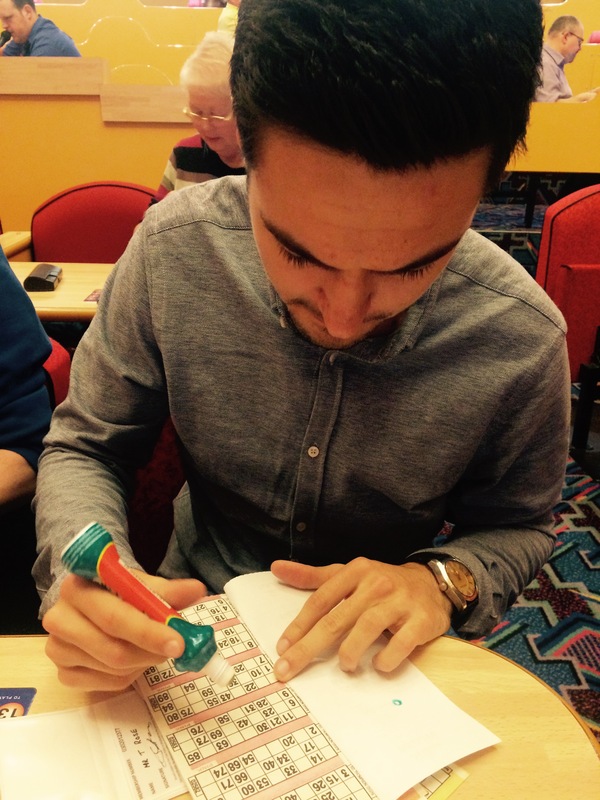 It quickly became apparent after the first round, that bingo requires concentration. It wasn’t the relaxed jovial atmosphere I expected, when play started complete silence took over the room, so you could hear the announcer. The numbers are reeled off so quickly, you don’t get a chance to look anywhere but your book. To my dismay, there weren’t any jokes as they announced the numbers. There was no “You and me, Number 3” or “Tickety-boo, 62.” The closest we got was “Two fat ladies, 88”. This did disappoint me. Once I started getting the knack of filling numbers in time, whilst evaluating how many I needed to complete a line/box, I began to become more and more gutted each time I didn’t win. As we became close to getting a full house, we would whisper to each other, “I’ve got a busy box”. Not sure how we came to calling it that, but every game one of the four of us, would claim their box is getting busy. Each time, we were just one or two away from the prize. As the evening went on, the prizes went up. The jackpot started on £50 and ended up £250. As the prizes became higher, the gasps of disappointment around the room became louder as someone in the room stole the jackpot. The women next to me would knit in-between games to keep herself entertained. She looked very content, and would occasionally engage in conversation to see how we were getting on. It felt quite mothering, if I’m honest! The room was boiling and with no windows around, I quickly lost track of time. By the penultimate game, I had no idea what time it was, only that I was three quarters of the way through my pint (I barely had time to drink, the concentration levels were so high). I was one off hitting the first line, which would have given me a £20 prize and in profit for the evening. My top box started to become busy, I told the boys, and they all ignored me. All of a sudden, I was one away from the full house. All I need was the number 67. My friend Mike, opposite me, had noticed I was just one away, and when the number 57 not 67 was called out, he said “you’ve won mate!”.. I hadn’t. When you need one number, that is all your mind is waiting for, you certainly don’t mistake it for another number. Three numbers later… “67!”… “YES!” I cried. I had only gone and hit the full house. 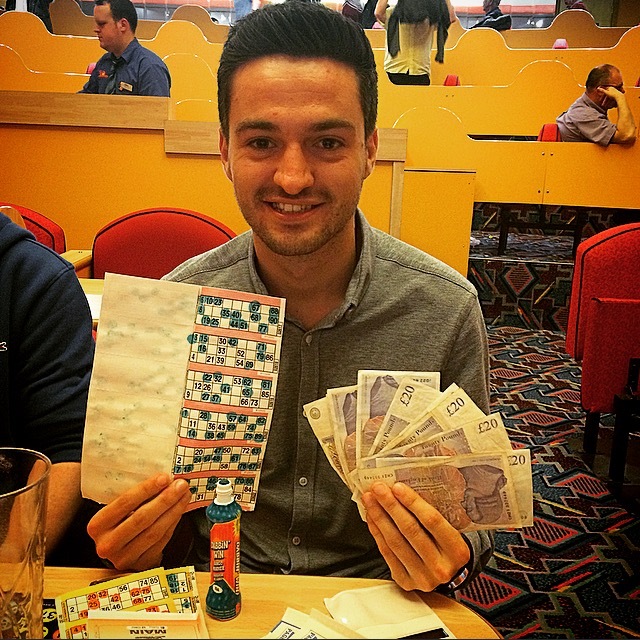 I won the £200 cash prize, I couldn’t believe my luck. My women friend, was delighted for me. I think she shouted well done louder than I had shouted to claim the prize. In hindsight, I was gutted I didn’t shout BINGO. I definitely had pictured myself shouting it out. I guess in the moment I was too excited to have won. Ending the night with a lovely little cash prize put me in the mood for celebration, which meant I didn’t wake up the next morning with £200 in my wallet. I woke up with a lighter wallet and a banging headache. I blame the bingo. I was told by the announcer afterwards, to tell people that not everyone wins first time when they go. What do they say about beginners luck? Having won some money here, I think it’s time to start giving a bit back and using my luck for some more charitable tasks. If you guys have any good ideas for me, swing them my way!